An American Research Base is greeted by an alien force, that can assimilate anything it touches. For movie fans, 1982 offered one of the strongest summers ever, though we wouldn't recognize this until later. Megahit ET dominated the box office, though a few other films did pretty well for themselves. For instance, Poltergeist and Star Trek II earned big bucks, and Conan the Barbarian did pretty well also. Some of the year's box office disappointments subsequently became notable. In particular, Blade Runner made little money but later emerged as an influential and popular movie. To a lesser degree, John Carpenter's remake of The Thing also falls into that category. It definitely proved less-than-popular at the box office that summer, but it went on to become a respected and noteworthy film in its own right. To be frank, I find Carpenter to be an overrated filmmaker. He coasted by on the success of Halloween for years, and I think The Thing probably becomes his only other truly strong film. Most of his other works vary from decent to awful, with most of them leaning toward the latter domain. An exception to that rules, The Thing focuses on the American inhabitants of a scientific base in the Antarctic. Their monotonous lives get shaken one day when an apparently-crazed Norwegian helicopter pilot flies into camp and shoots at a stray dog. The Americans attribute these seemingly irrational actions to cabin fever, but they soon learn the real reasons for his shooting spree as something sinister infiltrates the camp. The Thing works because Carpenter largely forgoes action theatrics. Instead, he produces a sublime mood of paranoia. The movie's all about knowing who you can and cannot trust, and when you literally cannot trust anyone, how do you get through that situation? Carpenter resorts to some stock horror tactics at times to wake up the audience, but for the most part, he sticks to a subdued tone of suspicion and wariness that creates a terrific sense of tension. It helps that the all-male cast works well, and Kurt Russell provides a strong anti-hero as chopper pilot MacReady. Unlike most "action heroes", Russell's MacReady doesn't seem particularly smart, brave, clever, daring or quick. Shaggy hair and beard nicely obscure Russell's boyish good looks and make him seem appropriately weary and cynical. Russell's never been a great actor but he fits this role well. All of the other actors do fine work, though I don't think any stand out to any substantial degree. Russell dominates the movie, but the others seem more or less created equal. Yes, we get to know Blair (Wilford Brimley) better than Fuchs (Joel Polis), but none of the characters gets a tremendous amount of development. Oddly, that somewhat superficial nature works in the best interest of the film. Since The Thing revolves so tightly around suspicion, it's ideal that we know little about the characters. Even MacReady becomes our main character essentially by default. Russell enjoys more screen time than the others, but we never learn the slightest hint about the life he led prior to his arrival at this camp. The same goes for his colleagues, so for viewers, their worlds begin and end in the Antarctic, and that sense of isolation helps accentuate the dark mood. It also prevents the film from degenerating into any form of sentimental melodrama, as we have little reason to sympathize with these characters. Oh, we may develop affections based on superficial characteristics, but we don't hope for the survival of one character because of his wife and kids or discard another because he used to be a prison inmate. Those factors may reside in their pasts, but we never learn anything along those lines, so the drama is reduced to the bare minimum. I don’t think The Thing becomes good enough to qualify as a legitimate classic, but it's a strong film nonetheless - there's a reason why it's stuck around for all these years. Director Carpenter creates a tense and cynical piece that remains with you after you see it. The Thing appears in an aspect ratio of approximately 2.35:1 on this Blu-ray Disc. This became a top-notch presentation. Sharpness seemed crisp and clear from start to finish. A little stylized softness appeared but nothing else, so overall, the image remained well-defined. Jagged edges and moiré effects were virtually nonexistent, and I noticed no edge enhancement. Print flaws also failed to mar the presentation. Colors looked appropriate. The film used a blue tint to match the chilly setting, and the hues were seemed accurate and true. Black levels were nicely deep and rich, and shadows were solid. As I mentioned, the movie featured many low-light interiors, and those caused potential problems. Nonetheless, they usually appeared reasonably concise. Overall, the transfer proved excellent. I also found the DTS-HD MA 5.1 soundtrack of The Thing to prove satisfying. The soundfield was surprisingly wide and detailed for a relatively old film such as this. The mix appeared quite active and the elements were appropriately located within the environment. Panning between speakers seemed slightly awkward but worked acceptably well. With occasional split surround usage, the rear channels added a nice element to the track and helped create a nicely encompassing soundstage. Audio quality was similarly positive. Speech was natural and concise, with no signs of edginess or issues connected to intelligibility. Effects were occasionally a little thin but they remained decently realistic. They displayed only a little distortion, most significantly during explosions. Ennio Morricone's score came across very well. It seemed smooth and clear and boasted some good bass at times. It's an impressive mix for an older movie. 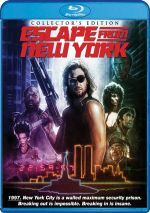 How did this 2016 Blu-ray of The Thing compare with the 2008 BD? I thought the two discs offered very similar – if not identical – 5.1 mixes, but the 2016 release provided the superior visual experience. While the 2008 disc also looked very good, the 2016 version became a little cleaner and sharper. The 2016 release mixes old and new extras, including three audio commentaries. First up is a chat from 1995 that features director John Carpenter and actor Kurt Russell. Both sit together for this running, screen-specific discussion. The track rambles a bit and the participants - especially Carpenter - tend to spend too much time describing the action on screen, but I liked it nonetheless. Both of the guys sound like they're having a great deal of fun as they talk about the movie, and enough interesting information appears to make the commentary worthwhile. We get notes on the sets and locations, story and character issues, stunts and effects, and various production elements. Honestly, even Carpenter's frequent blow-by-blow of what we already see on screen bothers me much less than usual just because the pair are so engaging. Lots of people regard this as an all-time great commentary; I don’t think it’s that good, but I like it. 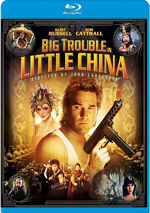 New to the 2016 Blu-ray, we find another commentary with director of photography Dean Cundey. Accompanied by blumhouse.com’s Rob Galluzzo, we find a running, screen-specific take on his relationship with Carpenter, cinematography, effects and other aspects of the shoot as well as the film’s legacy. Cundey and Galluzzo combine for an erratic commentary. On the positive side, we get a mix of good insights, and Cundey offers fun details such as a lighting technique that separates humans from “things”. However, too many lulls emerge, and Galluzzo devotes too much of the track to praise for the film. While the commentary definitely merits a listen, it could’ve been better. Also created for the 2016 Blu-ray, we get a commentary from co-producer Stuart Gordon. Along with disc producer Michael Felsher, Gordon delivers a running, screen-specific examination of the project’s roots and development, cast and performances, character/story areas, sets and locations, effects, stunts and action, editing, music and connected domains. From start to finish, Gordon provides a pretty terrific commentary. He touches on a wide array of topics and discusses them in a concise, involving manner. Of the three tracks, Gordon’s becomes the most informative and useful. Many promotional materials appear on Disc One. We get four trailers, three TV spots and four radio spots. Disc One finishes with Still Galleries. These break into “Behind the Scenes” (57 images), “Lobby Cards and Press Stills” (51), “Programs” (20), “Posters” (23), “Storyboards” (30) and “Production Artwork” (16). All of these add value to the package. The remaining extras show up on Disc Two. Under More of The Thing, we find four components. Also found on the prior Blu-ray, Terror Takes Shape provides a one-hour, 24-minute and three-second documentary about the film. We hear from Carpenter, Russell, Cundey, actors Richard Masur, Charles Hallahan, and Joel Polis, effects artists Rob Bottin, Stan Winston, Peter Kuran, Albert Whitlock, and Susan Turner, producer David Foster, screenwriter Bill Lancaster, editor Todd Ramsay, and production designer John Lloyd. The program covers a wealth of information about the film and provides a very nice overview of a wide variety of topics. I find the emphasis to be a little heavy on the technical side of the equation - I would like to hear more from the actors - but the balance seems fairly logical, especially for such an effects-heavy movie. It’s a consistently entertaining and useful program. A fun extra, we get the network TV broadcast version of The Thing. It runs one hour, 33 minutes, 45 seconds and presents the movie in a 1.33:1 ratio. Taken from a low-quality videotape, this presentation looks pretty awful. If you can stand the unappealing visuals, though, it’s worth a gander because it changes so much from the theatrical cut. We get voiceover to make some domains clearer and a slew of other alterations. Do these improve the movie? No – the TV version is markedly inferior to the theatrical edition in much every way. Nonetheless, for Thing buffs, it delivers an interesting alternate view of the film, so I’m glad it appears here. Two period featurettes finish “More of The Thing”: The Making of a Chilling Tale (5:14) and The Making of The Thing (9:20). In these, we hear from Carpenter, Russell and Lloyd. The featurettes offer basic promo pieces without a whole lot of value beyond some footage from the set. Interviews breaks into six segments. Requiem for a Shape Shifter lasts 28 minutes, 39 seconds and includes comments from director John Carpenter. As interviewed by fellow filmmaker Mick Garris, Carpenter covers the basics of the movie’s origins and development as well as its legacy and various production elements. I don’t know how much new information we get here – and I strongly quibble with Garris’s bizarre assertion that ET is now essentially forgotten – but the chat offers a decent overview. With The Men of Outpost 31, we get a 51-minute, 14-second chat with actors Keith David, Wilford Brimley, David Clennon, Joel Polis. Thomas G. Waites, Richard Masur and Peter Maloney. They discuss how they came to the film, their roles, performances and aspects of the shoot. We find a lot of fun stories and informative comments in this enjoyable compilation. During the 11-minute, nine-second Assembling and Assimilation, we hear from editor Todd Ramsay. He looks at his relationship with Carpenter and ways that editing impacted the story. Ramsay offers a nice set of memories and explanations. Behind the Chameleon occupies 25 minutes, 26 seconds with info from visual effects supervisor Peter Kuran, miniatures supervisor Susan Turner, special makeup effects Brian Wade, foam latex supervisor Rob Burman, dimensional animation creator Randall William Cook, and animation effects cinematographer Jim Aupperle. We learn about the movie’s opening credits, miniatures, various creature creations, and stop-motion animation. Though a little dry and technical at times, “Chameleon” nonetheless offers a useful array of insights about the effects work. Next comes Sounds from the Cold. It fills 14 minutes, 53 seconds with details from special sound effects and music Alan Howarth and supervising sound editor David Lewis Yewdall. As implied by the title, “Cold” looks at aspects of the film’s music and sound design. Like “Chameleon”, “Cold” can be somewhat technical, but it provides a mix of good notes. “Interviews” ends with Between the Lines. This 15-minute, 58-second piece offers notes from author Alan Dean Foster. 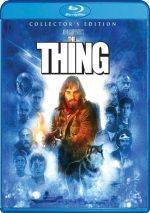 He discusses his career as one who creates books based on movies as well as aspects of the source novella from which The Thing came and his work on the flick’s novelization. We rarely hear about this subject so I appreciate the look at Foster’s efforts. Finally, the Featurettes area gives us seven components. The Art of Mike Ploog lasts 12 minutes, 21 seconds as it gives us a running montage of Ploog’s storyboard art. This probably would work better as a still gallery, but it's still a fine compilation. In Back Into the Cold, we discover an 11-minute, 16-second reel that involves a return visit to some of the movie’s sites. We view photos as fan website founder Todd Cameron. It’s more interesting in theory than in reality. Next comes a collection of Outtakes. This package lasts five minutes, 19 seconds and gives us small movie snippets that didn’t make the final cut. These don’t give us true “deleted scenes” but they present some interesting tidbits. Vintage Featurettes spreads nine short segments across 13 minutes, 20 seconds. Across these, we hear from Carpenter, Russell, and effects creator Rob Bottin. These pieces look at story/characters, sets and locations, and various effects. Though firmly promotional, a few decent glimpses of the shoot emerge. Under Vintage Product Reel, we see a 19-minute, 38-second piece. It just offers a montage of movie scenes, apparently in an attempt to sell the movie to exhibitors. It may have some archival value but it’s a snooze to watch. Next come a two-minute, two-second presentation of Vintage Behind the Scenes Footage. The reel is too brief to give us much, but I always enjoy snapshots of the shoot. “Featurettes” ends with an Annotated Production Archive. It fills 54 minutes, 12 seconds with a mix of stills, art and related elements, all with text to explain what we see. I appreciate the wealth of information found here, but I think the format becomes unwieldy. The “Archive” would be more user-friendly if broken down into smaller pieces and not presented as one huge 54-minute reel. Although it bombed critically and financially in the summer of 1982, The Thing became a minor classic of the science fiction genre. Its delicious melding of sci-fi creatures with 1950s-era paranoiac drama create a film that remains wonderfully tense and unusual. 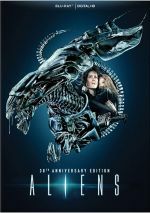 The Blu-ray provides strong picture and audio with an amazing roster of supplements. This Collector’s Edition of The Thing knocks it out of the park and becomes the definitive version.